Almost 25 years since its declaration of independence from communist Yugoslavia, Croatia (as other states of former Yugoslavia) has not in its entirety come to terms with the tyranny of communism and is infested with demons of communism at all levels of the society and state-governance. Many former communists and/or their descendants evidently ignore the dictatorial system imposed on the country they say, “they liberated” from WWII German occupation/its collaborators. Apart from a decisive lustration as well as political and moral distancing from the communist past – apart from exorcising the remnants of communism, Croatia has little chance in realizing the freedom and democracy it fought for in 1990’s – in rivers of blood of its own people. And so, as seemingly organised barriers are placed on the path to full freedom and democracy, exorcism of all remnants of communism becomes a battle that needs to be as organised as the leftist or communist-flavoured machinery that constantly undermines progress of an independent and democratic state, which is desirous of shedding the last vestiges of communism. The government alone, especially not a government that is deeply riddled with remnants of communism, cannot do the shedding – alone. Exorcism of communism needs to find soldiers within the natural milieu of Croatian society, and, citizens should and must organize themselves into various action groups towards this end. The greater than life-size bust of Yugoslavia’s leader Josip Broz Tito in the Office of the President of Croatia, marking the spot where misguided fantasies about the communist totalitarian regime served as a kind of nationwide reverence towards Tito and his communist regime was recently removed from that office by Croatia’s president Kolinda Grabar Kitarovic. The removal of the bust was engulfed in bitter debate over Tito’s place in European history, demonstrating that many Croatians are far from ready to acknowledge the fact that Tito’s dictatorial system was the force that in many ways drove 94% of Croatian voters to seek independence in the early 1990’s. A battle of symbols and memories continues to be waged — over statues, street names, the Red star, the places for remembrance of communist crimes such as Bleiburg massacres… Now entrenched in the West through NATO and European Union membership, Croatia is showing new eagerness to erase the more visible vestiges of communism almost every day or week. I do fervently hope that Tito’s name will soon be removed from the opera house square in Zagreb as yet another milestone in exorcism of the remnants of communist past that stifle progress in Croatia towards fully achieving the goal of freedom and democracy. 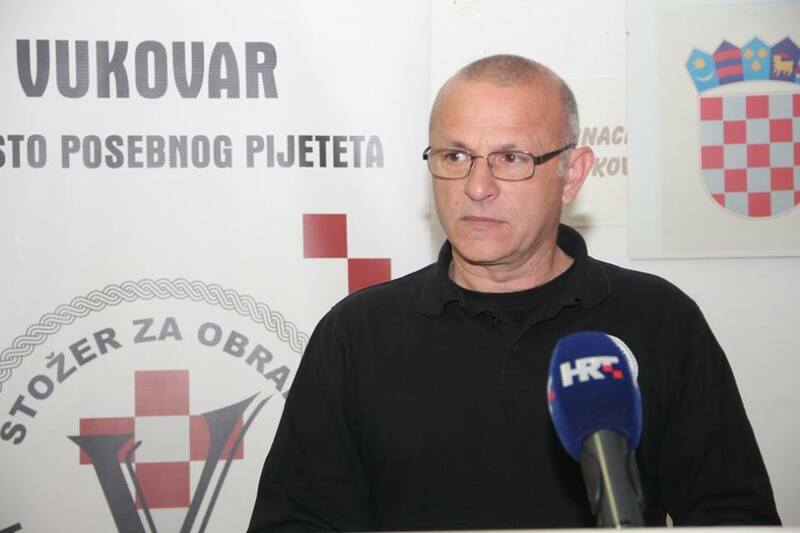 The Committee For the Defence Of Croatian Vukovar has Friday 17 April 2015 stated: “ Remnants of the totalitarian regimes are attempting to crush the Croatian statehood,” said Tomislav Josic, the Committee’s president. “Croatia must rise loudly at this time when the well organised remnants of totalitarian structures and attempting to crush our statehood, pride, dignity and survival. We invite all individuals, organisations and institutions to collaborate with us if they consider that the realisation of our stated goals will lead to a better and more just Croatia”. The ten strategic goals the Committee has announced include the protection of Croatian statehood, human rights, lustration and directing Croatian foreign policy towards the EU and NATO countries… This is a shining example of how citizens’ organisations can positively contribute to the shedding of communist past and to the progress Croatia needs to make as a free and democratic state. Another recent example of organised citizens in the battle of shedding the remnants of communism from Croatia is the work done by several prominent people under the umbrella of the Croatian National Ethics Tribunal. The Tribunal has Saturday 18 April 2015 delivered a yet another judgment and condemnation against persons for whom the evidence they claim shows have worked against Croatian national interests. These persons are Vesna Pusic (current foreign minister of Croatia), Stjepan Mesic (former president of Croatia) and Milorad Pupovac (member of parliament representing a section of Serb minority in Croatia). ”It’s difficult to predict the effect of this judgment, but one thing is certain: people like these should not carry out the duties they’re carrying out today. Even as a young person Vesna Pusic began working against Croatian national interests, and as far as Stjepan Mesic is concerned, he, together with Vesna Pusic, stood on the side of Serbia and started equating the victims with the aggressors. These persons do not behave in ethically acceptable ways, Mesic went secretly to the Hague to give testimony against Croatia, Franjo Tudjman and, finally, against Croatian Generals,” said dr Zvonimir Separovic, president of the Ethics Tribunal and added that the next in line will be Josip Broz Tito and the fact that the communist regime was a criminal regime. « Historian Claims Allies Raped Almost 1 Million German Women After WWII – Could Delivery Of Croatians For “The Bleiburg Massacres” Share Same Motives? Sooner or later the people will have to decide if they want to be a free and democratic state or return to the days of being Communist. Lets hope they decide the right thing for themselves and all those who sacrificed themselves in the name of freedon. i echo David’s words, Ina, but it’s never easy. Keep putting it out there you are doing a great service to the country that means so much to you. Ina, Only when all these old Communist die will Croatia be able to move forward. Once that happens, people like Vesna Pusic will be irrelevant in Croatian society. I do think that all reference to the old regime must be removed i.e. street names and squares after Tito etc. maybe we should hire a bulldozer and send it to demolish certain buildings in Kumrovec. “Lustration” is a fascinating word to choose, from Latin for purification by sacrifice. Floreat liberty. It’s diofficult to know exactly, Rajka, why Tito’s bust was not removed before but from my understanding it’s because for few years the war raged, then there were two president after Tudjman – Mesic & Josipovic – who set back the plight of Croatia for democracy quite a bit – being pro-communists and pro-Yugoslavia…it’s complicated but, hey, it’s done now! I visited the website http://stozerzaobranuhrvatskogvukovara.hr/ It is, of course, in Croatian. The ten goals are therefore a mystery to the EU and NATO and USA peoples and diplomats that Tomislav Josic, the Committee’s president, describes as the specific goals and objectives. Lucky for Croatia, Germany is starting the Lustration process with their trial of the treasonous Yugoslav ultranationalist-socialists Mustac and Perkovic. When they are found guilty, SKH is also found guilty, and SDP will need to legally change its statute – which will of course divide the party. Good days lie ahead. Danke Deutschland. 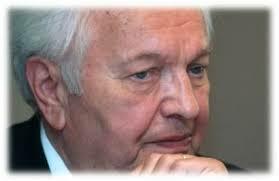 Franjo Tudjman(founder of HDZ) was President of Croatia from May 30,1990 until December 10,1999. Stjepan Mesic (member of HDZ, then founder of HND which later became HNS) was President from February 2000 to February 2010. Ivo Josipovic(SKJ became SDP) was President from February 2010 to February 2015. None of these former Presidents of Croatia were willing to remove Tito’s likeness from their respective Presidential Offices! Of course, as a member of a “transformed” SKJ -the SDP and Josipovic clearly ideologically still firmly leftist in orientation both in word and deed, so it was not expected that he would remove the bust. Mesic- well, possibly the consummate politician who claimed to be at one time both an ustasa and a partisan; and publicly accused of thievery and corruption….no realistic expectation of great things from him. But Tudjman, that is a different story. From him great things were expected! Moreover he had such support from Croatians both at home and abroad that he could have made great strides in ridding Croatia of it’s communist legacy and setting us on a path of democracy and justice for all victims of communism. Instead, he chose to embrace all ‘former’ communists into HDZ party and so their membership consisted of the whole ideological spectrum from left to right and everything in between. More importantly, he appointed some of the worst offenders in the former communist regime to the most crucial posts in his government (Manolic, Boljkovac etc.) He had a clear mandate to sever all ties from Yugoslavia and communist ideology – indeed Croatians fought a bloody war to ensure that we would never return to those days, and yet he was not strong enough, resolute enough, willing enough to remove Tito’s bust from his office! Marshal Tito Square still stands in the heart of our capital city, Zagreb, the Day of Antifascist Battle is still commemorated and is attended traditionally by high ranking govt. officials, WWII partisans are still surprisingly large in number and are still receiving their pensions cheques from the Croatian taxpayers, and the myriad of communist remnants remain to this day as visible reminders of the communist spirit that is alive and well in modern day Croatia despite efforts to the contrary. A truly sad state of affairs. Well Velebit, when it comes to former communists of course many joined HDZ, the newly created party/movement as other joined other – the parties were formed out of the people in Croatia, mainly and the situation was as it was. Then came the war and it was not resolved really until 1998. Tudjman had the “dream” of uniting Croats from all political sides as related to WWII heritage. Time was needed to sift out that which is detrimental and Tudjman, when one looks at the magnitude of the issue, did not have the time and of course he had another battle to fight: Mesic commenced anti-Tudjman and Homeland War barrages at home and abroad around late 1992! It was a retardant and deterrent for many changes that should have been. Let’s come the times have come when greater strength has set it to deal with the communist past effectively. Tudman gets a get out of jail free card because he had to keep his enemies as close as possible. They were isolated in 1994 and the cancerous Yugoslav abcess was more or less lanced – this was something Mesic, Manolic, Boljkovac, Seral Fribune, Zarez, HahHaOhhh, BBC, Guardian, New York Times, RFERL, CNN and all Soros-funded Yugoslav ultranationalist-socialist “opposition” media in Croatia cried and moaned about. The virulent cancerous Yugoslav abcess was lanced, that is until AFTER Tudman died. That is when the virulent tumor came back with a vengance. The worst part is that Croatians who consider themselves patriotic in not small numbers voted for the perjurer and false witness bearer Mesic because of the three KOS myths – the “sale” of Vukovar, the “trade” of Posavina (the defense of which more HVO and HV soldiers died in than the rest of the war, it fell because the imbecile Izetbegovic was digging so-called ABiH and Mujahideen units in facing HVO positions – not VRS positions – in Hercegovina and Central Bosna and did not send a single soldier to help the HVO-led defense), and “aggression against BiH,” three myths perpetuated by the Yugoslav ultrantionalist-socialists to this day. Indeed, therealamericro – Tudjman and his supporters for independence were isolated in early 1994 – many wanted to shatter the pursuit and not just Serbs but as you say many “big” foreign elements. Tudjman did a superb job. I see our old friend, Ivo Josipovic, wants to establish an even more left of centre party. If it was not so serious it would be laughable. It really says a lot about this man. He was happy to have SDP support during his failed attempt at a second mandate as President. Now he dumps them. He wants to carry out “reforms” with the help of “young and capable” people. I dont know where he will find them as the most competent have already left for greener pastures. If I was in Croatia I would do exactly the same. His “reforms” are nothing more than the rehabilitation of Titoism. Cynics would argue he got his orders from Perkovic via Ante Nobilo to establish this new criminal enterprise. The communist thirst for power and bloodlust is something to behold. Absolutely nothing is sacred for these criminals and traitors. Indeed, Ante, Josipovic is a nasty piece of work when it comes to politics of Croatian independence and betterment. He seems pathologically set at chasing something not many want so it’ll be interesting to see what his new party really will do and how much weight that will have. I like to think it’s the beginning of Josipovic’s end in politics. Thank you so much for stopping by my blog on a regular basis. I have been an inconstant reader but I want you to know I appreciate what you post – an insider’s view of something not covered much if at all in the US press. I lived in Prague for a year before the Velvet Revolution and watched what happened with the coming of democracy with great interest. There were many people we had met while there who bemoaned the loss of Communism. I suspect it will take only another generation for the remnants of Communism to be gone. Will that happen in Croatia? Footnote: maybe some time you get what you wish for, but looking at the television news, the Islamists in Iraq and Syria are destroying all of the christian churches…Catholic and orthodox! Well, Ina, those early years were some of the most significant and historically relevant years for us as Croatians – the first multi-party elections were held in 1990, an independence referendum was held in 1991 and the voter turnout for both the election and referendum were very high because people knew that their political engagement in the process was crucial. As a result, there could be no doubt as to the what the electorate desired and that was unequivocally a severing of all ties with Yugoslavia and a change toward a democratic political system. The people finally were asked to determine their own destiny and Croatia was once again re-established and internationally re-identified as an independent, sovereign nation. We fought a defensive war against those Serbs both within and beyond our borders who aggressively, brutally, desired to pursue their own “dreams” of a Greater Serbia, and also against those Yugoslavs who would try once again to impose upon us a federation of ‘south slavs’. I am relating all of these key events to underline that our first President was given a powerful mandate, dare I say carte blanche, to use whatever means necessary to achieve the will of the people. He,conversely, at first tried to appease Belgrade – he was willing to negotiate for a Croatia within some kind of confederation of Yugoslav states and when that fell through he was left no recourse but to pursue secession. Tudjman was unwilling or unable to see that tensions would escalate to such an extent that war would eventually break out. As a result, unlike in Slovenia were 1/3 of all Territorial defense arsenals were claimed by Slovenia, 100% of Territorial defense arsenals within Croatia were left for JNA to use against Croatians. Instead of negotiating for peace while preparing for war, Tudjman’s strategy of using diplomacy alone in an effort to avoid war ultimately failed and we were left virtually unprepared against one of the best equipped armies within Europe. The question remains as to why Tudjman was even pursuing any form of confederation within a Yugoslavia when that was not his mandate to negotiate. Why was he willing to accept into key positions of the first democratically elected govt. of Croatia those former communists with Croatian blood on their hands? Why did he not purge from political life, all of the former regime’s apparatchiks? Why was he unable, or unwilling to publicly denounce the former Yugoslav regime, denounce Tito, denounce the Partisans and his role as a Partisan, denounce communism, denounce antifascism? Certainly, the answer to these questions would also answer the question as to why he preferred to leave Tito’s bust in his office for almost a decade. You say that Tudjman had a dream of uniting all Croats from all political sides as related to WWII heritage and that is why HDZ as a political party embraced all shades of the political spectrum as members. The mere acceptance of registration into a political party does not meet any requirements of political reconciliation in my mind. I would like to ask what steps he implemented to achieve that dream? What were the processes, the policies that were enacted, the committee/organizations that were founded in order to ensure that justice for victims of communism would be served? Where was the lustration of those communist elites of the former regime to ensure that they would politically never be able to attain power over us again? Certainly there can be no uniting of those Croatian combatants of WWII and their descendants, without there existing the political will to first face some rather uncomfortable truths – which we see, even today, those in power are unwilling and unprepared to do. His dream, if it truly was his dream, remained as all dreams do – a fantasy, an abstract illusion which only gains significance when real, concrete steps are taken to attain it. In contrast, our President, Kolinda Grabar Kitarovic was elected by the narrowest of margins, (as opposed to Tudjman’s landslide victory), and yet, within a couple of months, she was politically willing to remove Tito’s bust, and publicly denounce Tito for the dictator he was! She succeeded, at least in this small but significant step, where Tudjman failed. It was not a priority for him. The excuses that you alluded to do not justify his inactions, his unwillingness to reconcile his own past as a Partisan, as a communist, openly and unequivocally, to the Croatian public and therefore affirm his place in this new Croatian era. His unwillingness to cleanse the govt. of former communists, to enact some form of lustration and reconciliation, these are things that all other former communist countries did in order to achieve some settlement of past wrongs. He failed to even initiate any affirmative action towards those ends. If he had done so, he would have truly been a great leader, an example to others and who knows how far Croatia would be today on the road to ridding itself of its communist legacy. Tudman preferred a confederation? Seriously? Tudman gave short term concessions to buy time, to buy arms and achieve political legitimacy. Political legitimacy was, rightfully, the No. 1 priority at that time. It was no secret that any offer Tudman made would be, and was quite vociferously, rebuked by the Serbs who were cocksure because they had all the lawyers, guns and money and had France, the UK, Russia and China openly on their side in the UNC, the US tacitly on their side thanks to the conflict of interests that Eat-a-burger, Scanlon and Baker had. Every offer was and remained nothing more than a formality for public / international community consumption because Milosevic and the Serbs chose war – Tudman and every Croat knew this. Tudman’s priorities were 1. International Legitimacy 2. War – total victory was achieved fyi 3. Neutralizing the treasonous elements, which he did successfully. Croatia was at its apex of military and geopolitical power in 1999, Hercegbosna was a defacto reality on the ground, and the country – despite a war effort that cost 80bn EUR, war damages that cost 27.5bn USD, had a combined internal and external debt of 9bn with money for rebuilding and the highway project sitting in the bank and waiting disbursement. Lets not forget that Croatia was in a state of war until 1998, and thanks to internal traitors like Pusic, Mesic, Manolic and Paraga – who wrote the indictments for Blaskic, Kordic, and Prlic et. al. in his love letter to the ICTY in 1997, under international community pressure on all fronts. It was the fraudulent 2000 election and the Croatian people’s intellectual laziness and idiotic factionalism following the fraudulent election that allowed Mesic to win a second time, and try and root out all of the good Tudman did under the program of “de-Tudmanization,” which was and remains code for DECROATIZATION. There was not an official lustration under Tudman, but obviously the house was cleaned pretty tidily in the 1990s otherwise there would have been no need for “de-Tudmanization” (de-Croatization). Here is a reminder of just how tight the ship was: https://www.youtube.com/watch?v=zGZisMf0eMI. Look at the attendees, that says it all. Totally agree, Ina, I have never stated, that all Partisans/Communists/Antifascists were evil, and that all Ustase/Domobrani were good, and I hope that no one reading thought that I had ever implied such a thing. What I and others were expecting from the first freely elected President of Croatia was in the very least a personal statement, openly and honestly addressing the issues of his past as a Partisan soldier during WWII and later as a General in JNA, in order to “come clean” so to speak. To inform us as to his reasons for choosing to be part of the Yugoslav machinery for the better part of his adult life and to tell us what prompted him to change his loyalties and turn away from that political ideology in favor of another. Such a cathartic experience should have been shared, to unequivically assert to Croatians that he was severing himself personally from all Communist vestiges and that he clearly intended to steer Croatia on a different course. Isn’t it unusual that Tudjman made no such public statement? When one doesn’t address issues head-on and with sincerity, then the door is left wide open for all sorts of conjectures and suspicions. As you said, unity/reconciliation must be done on an individual, case by case basis and would that not have been a wonderful opportunity for Tudjman to be the impetus for such a national dialogue? Secondly, if we are in agreement that all Partisans or Ustase were neither good nor bad, one wonders why the Tudjman govts. were so top heavy with only those from the left sphere of influence and in some cases there were actual former Partisans in key ministerial positions but there were virtually no representatives of the “Ustase” variety – in any capacity……..
Of course, Susak was and remains accused of being an Ustasa AND an UDBas by the schizophrenic Yugoslav ultranationalist-socialist media and sham human rights groups, but that is a topic of its own absurdity. Personally, I don’t give much credence to what “antifascists” think about Tudjman or Susak or anyone/anything for that matter. If I were interested in their opinion, I wouldn’t be commenting in this forum. ” Tudman preferred a confederation? Seriously? I respectfully suggest, that one sure way to achieve political legitimacy is by diplomatic AND military means. One need not be mutually exclusive of the other. Well, the problem with this argument is that those who use it are in effect discrediting the very person they are trying to shield. By saying he was disingenuous to the public albeit for good reasons, you are calling into question the veracity of everything he says. Unfortunately, people are judged by their words and their actions and once we start saying ” well, yes, he said this but he didn’t really mean it , he really meant this” then we open everything up to one’s interpretation and not on the facts. What evidence do you offer that would prove that Tudjman was only fooling us into thinking he was considering confederation? I agree that every Croatian knew that when dealing with Serbs, unfortunately, war was highly probable, but then again I ask, why not overtake the barracks of the Territorial Defense Forces throughout Croatia in order to seize the weapons and start building Croatian defenses like our neighbors in Slovenia? He wouldn’t have had to buy arms if he had acted quickly in forming Croatian defense forces and seizing what was there for the taking. I agree Ina – first the Slovenes had a backdoor deal with Belgrade, second the JNA presence was filled with Slovene conscripts, third there was no 12 percent armed to the tooth Serbian minority, and fourth the whole phony war in Slovenia was nothing more than a horse and pony show to withdraw JNA troops to Croatia with the end goal of all out occupation – something NOT seiging the barracks in Croatia prevented from happening. This was achieved and was the policy. Like I said, the three priorities were 1. International political legitimacy 2. War, that is, stopping the RAM Plan from working, which happened as not one of the strategic points – Osijek-W Slavonia-Hungary border-Karlovac-Gospic-Zadar-Sibenik-Split-Dubrovnik- was taken 3. Neutralizing the internal enemies which also took place and was successful, otherwise there would have been no need for Western backed “de-Tudmanization” (de-Croatization). I would also add that Kolinda is a Tudmanist in every sense of the word, this is something that the New York Times hinted at in their hit piece after her election victory. Untrue. Tudman had to go through the diplomatic motions, this is something that every statesman has to do. Of course the Confederalization offer was disingenuous and a fig leaf because it being offered a) Showed Croatia’s willingness to compromise b) Showed Serbia’s and Serbs’ unwillingness to accept even the most generous terms c) Was at that time a diplomatic necessity and huge political point. 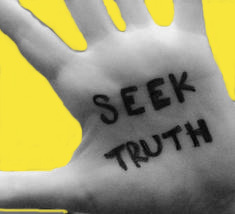 Cherry picking words and deeds with no context is also a form of interpretation of the facts. Izetbegovic’s mouth was full of multiethnicity and a unified Bosnia yet pushed a genocidal policy against Croats and offered W Hercegovina to Tudman. The fact is that Tudman was berated by the Soros media and Western media and diplomatic establishment for being too “hard-line nationalist” yet you suggest he really wanted a Yugoslav Confederation when the hostile anti-Croatian media and diplomatic establishment(s) at that time were stating that it was just a fig leaf. The fact that Croatia was arming, continued to arm and organizing a subsequently brilliant and successful defense of all strategic points. 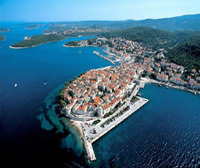 Oluja was the end of a long, coherent, crystal clear, chronological defense effort. Balkan Battlegrounds, the CIA after-action report on the war, praised all of Tudman’s political and military actions the duration of the war and called Tudman more or less the big winner of the 1990s, as did Silber & Little, Tanner, etc. War was not probable, it was already declared, drunkenly chanted at “meetings of truth” and “spontaneous happenings of the endangered Serbian innocents,” open and ongoing under the fig leaf of “negotiations” while the JNA was arming Serbs openly BEFORE Tudman got elected through the duration of the war and those same Serbs then were attacking Croatian MUP and the JNA was stepping in with tanks to “separate the warring sides” and effectively seizing that territory. It would have been political suicide and he knew it. Indeed, this was something Spegelj, who was along with Boljkovac and Mesic named by General Kadijevic as Belgrade’s men in 1991, insisted on and something that Kadijevic lamented in his memoirs did not happen because that was EXACTLY what the JNA and Milosevic wanted, along with London and Washington, because that would have been the green light for an all out attack against Croatia when it was not ready. By not taking the barracks Tudman bought time, did not give Milosevic a carte blanche for a military onslaught, and maintained political legitimacy – that would have been lost with attacks on the barracks following Belgrade’s man, Spegelj’s, plan. The bulk of TO arms were taken BEFORE Tudman came to power, remember it was SKH-SDP under Racan that complied with Milosevic’s wishes and disarmed Croatian TOs before Tudman was elected. Attacking the barracks would have been political and military suicide and would have been a Godsend to Milosevic, don’t take my word for it, check out Kadijevic’s own memoirs about how the JNA was disappointed Tudman didn’t siege the barracks because that would have won the war for Belgrade because they would have the cause de celebre for all out intervention with a full, and in the case of the Brits, French and the Dutch, hysterical diplomatic support to “defeat the ‘Croat aggressors'”. Finally, Slovenia had a back door deal with the JNA and Belgrade, so their seige – in a country of 99 percent Slovenes with no armed Serbian population sitting on 1/3 of the country – was a horse and pony show like their week-long war; the end goal of which was a JNA withdrawal to Croatia for occupation. This was something that Tudman was fully aware of, hence restraint when it was difficult but necessary. The bottom line is it is absolutely pointless to argue coulda shoulda woulda when the outcome – Croatia fulfilling every single political, military and geostrategic objective – was what was promised by Tudman back in 1989, with Tudman’s Croatia a regional power with every strategic wartime and post-war objective achieved at the time of his death.